Please click on one of the following to reveal the information. The freshman student fee includes: All meals for the time you will stay on campus, one night stay in the residence hall (June sessions only), a bag, t-shirt, workshops and presentations, social activities, all advising materials and parking. 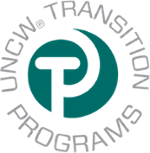 It also includes programs throughout the first year to assist in your transition to UNCW. The freshman family fee includes: Breakfast and lunch for the time you will be on campus, workshops and presentations, informational materials, a bag, t-shirt and parking. As a reminder - the August and January guest orientation sessions are only one day. The transfer student fee includes: Breakfast and lunch, a bag, t-shirt, workshops and presentations, advising materials and parking. The transfer family fee includes: Breakfast and lunch, a bag, t-shirt, workshops and presentations, informational materials and parking. Can I Change My Orientation Date? Your Orientation session can be changed in the VisualZen Orientation system only in space is available in another session. You will be responsible for any increase in fees. If there is a decrease in fees, you are responsible for requesting a refund by the deadline. You can change your date as many times as desired until the stated deadline. View an instructional video for how to change your date here. What If I Cannot Attend One of the Scheduled Orientation Dates? You will need to register for an offered date and call the Office of Transition Programs at 910.962.3089 to be moved into the make-up session. The make-up sessions will be held online. You will receive an e-mail regarding the online make-up orientation and how to access it. Once you have completed the online make-up orientation, you will receive an e-mail with your advisor's name and information. You cannot register for classes until you have completed the make-up session and meet with an advisor. We will do everything possible to coordinate with your advisor but ultimately, it is up to you to make yourself available at their availability. The same orientation fees are required for make-up sessions. As a Student, Am I Required to Stay in the Residence Halls During Orientation? No. However we encourage freshmen to stay in the residence hall as it is an excellent opportunity to meet other students. In addition, your orientation schedule will keep you busy between 7:45 a.m. and 10:30 p.m. Most students find in more convenient to stay on-campus. The overnight stay is included in the student fee, and will not be returned if you choose to stay off-campus. Housing is not available for any of the Transfer sessions. Please coordinate your travel arrangements accordingly around the sample or published schedule. Residence halls will not be available to students and family members attending orientation in May, August, or January. Therefore, the option for housing on the registration site will be automatically selected to 'No' for you. However, students with on-campus housing assignments will be allowed to check into their assignments the day prior to August or January orientation. Please contact Housing & Residence Life at 910.962.3241 or visit their website to learn about move-in dates. If I Have Signed Up for Early Arrival, but my Plane is Delayed, Will I Still Be Able to Check-In at the Dorms? Yes, go to the residence hall listed on your confirmation letter. The Desk Receptionist will call the conference assistant to let you into your room. You will have to check into orientation the next morning. Early Arrival is not available to Freshman students and family members attending orientation in August or January. Early Arrival is not available to Transfer students and guests. If I Need To Leave Before 5 p.m. on the Final Day of my Orientation, Can I Register for Classes Early? No, attendance is required at all orientation sessions prior to registering for classes. While you may finish prior to 5 p.m., we cannot guarantee it. For incoming Freshman, there is an opportunity for early registration. There will be a stated date that you need to register for orientation by and you will have an opportunity to complete early registration. You will receive an e-mail from University College with further instructions when you meet the deadline. You will still meet with an Academic Advisor at orientation to look over and revise your schedule, if necessary. University College can provide additional information on early registration. What Time Should I Book My Flights Before and After Orientation? Orientation begins at 7:45 a.m. on the first day, so it is suggested that you fly in the night prior. For all Freshman June sessions, we do offer Early Arrival lodging in the residence halls. Early arrival lodging is NOT an option for Transfer students. Orientation will end 4:45 p.m. on the final day, so please book an evening flight if you place on leaving that day. Are All the Orientation Sessions Offered at Orientation Required? Yes, all the sessions for students are required. We believe that Orientation is important for a smooth transition to UNCW and your success as a student. If you miss a session, you will be required to come back to orientation during an available session in order to complete orientation. You will not be able to register prior to attending all orientation programs. A hold, which will prevent you from registering for classes, will be placed on your account until you attend the missed sessions. Are Linens Provided If I Stay On-Campus for Orientation? Yes, linens are provided at no additional charge. Please note that there are no overnight accommodations available during May, August or January orientation sessions. Should Family Members Attend Orientation? Yes. It is not required that parents or family members attend orientation. We encourage parents or family members to attend because they have questions and concerns about college life that students might not have considered. Parents and family members will attend a separate program and will hear information that will help students adjust to UNCW. If you choose not to attend family orientation, we highly suggest you sign-up for the FLASH Family Newsletter to get important information throughout the year. Oorientation is not a place designated for children, but if a child must attend, they will need to be registered as an additional guest and pay the same fee. They will receive the same benefits as any other guest - including a t-shirt, meals, a bag, and other materials. We do not offer youth sizes in the t-shirt. I Am a Family Member From the Wilmington Area. Should I Attend Orientation? While you might have been on-campus before, orientation is much more than a campus tour. It includes valuable information that family members and guests may not know simply by their proximity to Wilmington. We believe families can never have too much information about the future experiences of their student. Can a Parent or Family Member Assist Me in Registering For Classes? While we encourage family members to review possible course schedules with students prior to orientation, family members are not permitted in the registration room. Students will be assisted by academic advisors when choosing their classes. Are There Accommodations for Students with Disabilities at Orientation? In order to secure reasonable accommodations, documentation must be submitted to Disability Resource Center for approval. Additionally, requests for accommodations can be submitted through your registration on the VisualZen orientation registration site. Where Can I Find More Information About Finding a Place To Live Off-Campus? Thinking of living off-campus? UNCW's Off-Campus Housing site can help! For more resources for Off-Campus living, visit PERCH. How Do I Obtain Information About Residency for Tuition Purposes? Please visit the North Carolina Residency Determination Service and their Frequently Asked Questions. How Do I Get My Money Back From a VisualZen Credit? If you have credit on your orientation registration account for any reason, you have to follow the formal refund request procedure in order to obtain a refund from our office. We will not automatically know if you have a credit on your account. It is your responsibility to notify our office by the appropriate deadline. A refund check will be in the student's name and will be mailed within 5-6 weeks of receipt. How Do I Change My Address in VZO? You cannot change that information because it has been imported into the system from your application and is unchangeable through this registration system. However, you can change your address officially for UNCW records through your Seanet account. You will log in and then click on "Personal Information" and you can change your address there. The address of this registration form will not be used to mail you anything regarding orientation. All information regarding orientation will be e-mailed to your UNCW e-mail address and any additional e-mail address that you provide. How Do I Change My Personal Information (legal name, address, etc.)? You can change your preferred name, phone number(s), mailing address, additional e-mail address(es), and emergency contacts officially for UNCW records through your Seanet account. You will log in, click on "Personal Information" and you can update your information there. The orientation registration system (VZO) will import student's preferred names as their first names, but only for orientation purposes. This does not affect any official records with the University. How Do I Get My One Card (Student ID)? The UNCW One Card is the official form of identification on campus. Your One Card allows the use of campus facilities, meal plans and provides safe, easy access to university services and events. In order to pick up your One Card during orientation check-in, you need to upload a photo (within guidelines PDF).You will be able to pick-up your One Card at orientation. If your first name on file with the University is not the name you would like on your One Card, you must contact OneCard@uncw.edu after you submit a photo in order to avoid additional fees for reissued cards. If you do not submit a photo online, you can take your photo before 8:40 a.m. on Day 1 of orientation and pick it up during orientation check-out. To learn more about the UNCW One Card, visit https://uncw.edu/onecard/. I am an incoming student in the RIBN or RN-BSN program. Do I need to attend orientation? If you are a student admitted into the RIBN or RN-BSN program, you do not need to register or attend orientation. If you have any further questions, please contact the College of Health and Human Services at 910.962.3317.